For those of you using Office 365’s Exchange Online “Public Folders”, there was a huge increase in the number of folders supported announced yesterday. We have made investments to scale up the limits for Public Folders in Office 365. Today we are raising the folder count limit to 100,000 folders. This is a 10x increase over the prior limit as defined in the Exchange service description limits. 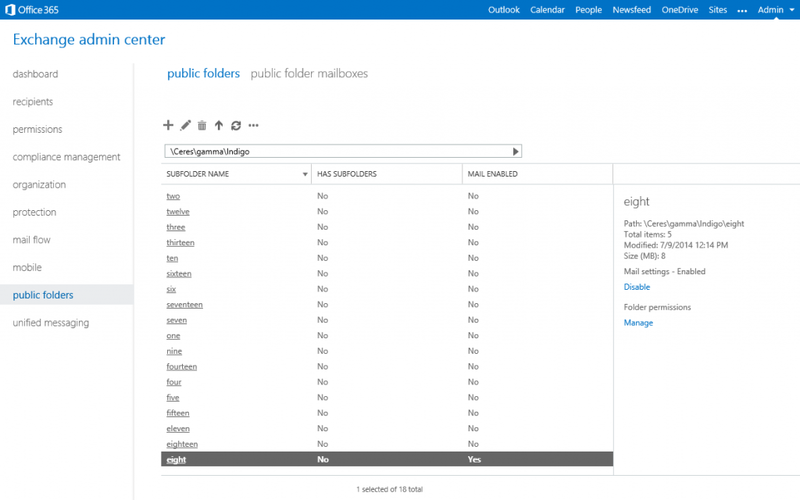 This enables migration of larger existing public folder hierarchies and increased use of the feature in Office 365. Customers can immediately take advantage of this new scale for public folders.